Hostel Ruthensteiner welcomes Vienna international travelers since 1968 and is a real love child. 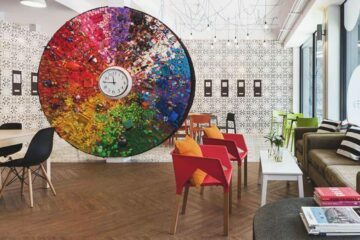 A mixture of family-style, cozy hostel and art exhibition; it all comes together to create the one 5 Star Hostel in Vienna. 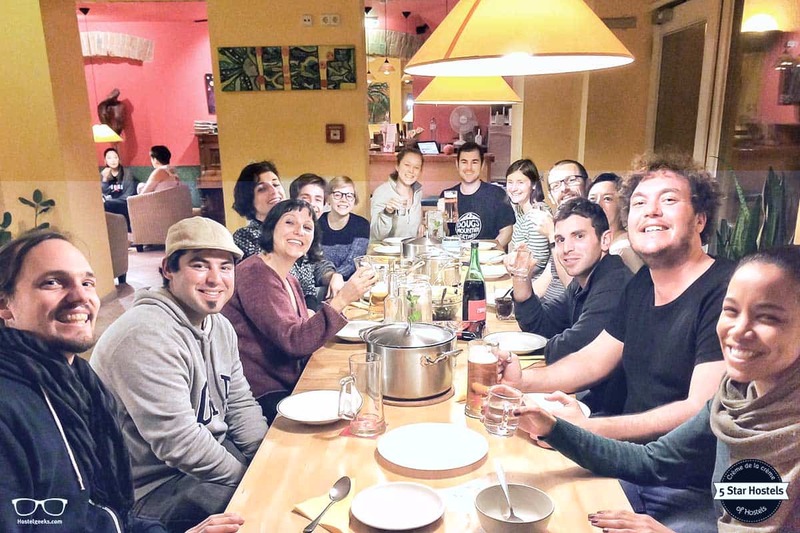 Hostel Ruthensteiner is everything a traveler could wish for - and it has everything we at Hostelgeeks are looking for. 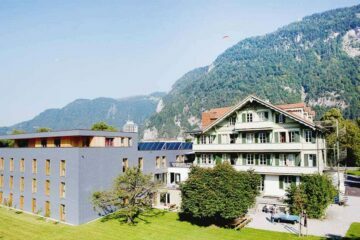 How to book Hostel Ruthensteiner? 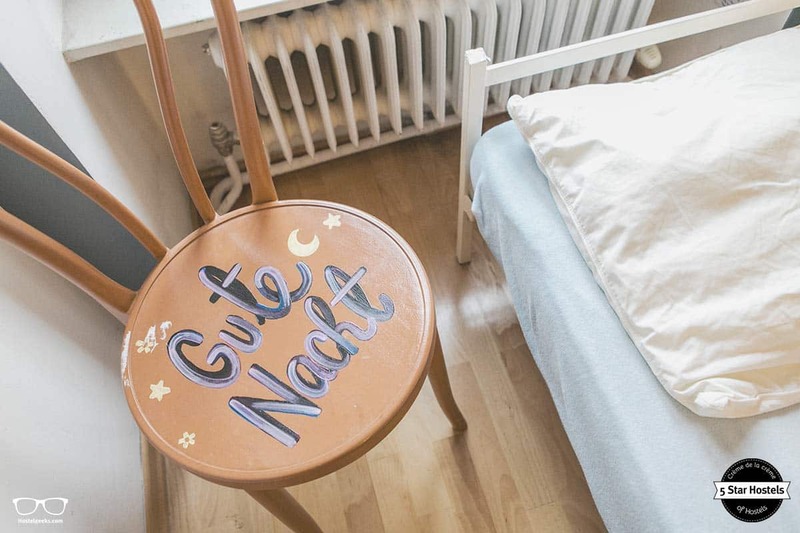 Congrats, you just found the coolest hostel in Vienna, Austria. Now, what about your booking? Check out the official website of Hostel Ruthensteiner. Why? There you can get the lowest prices! Perfect location! 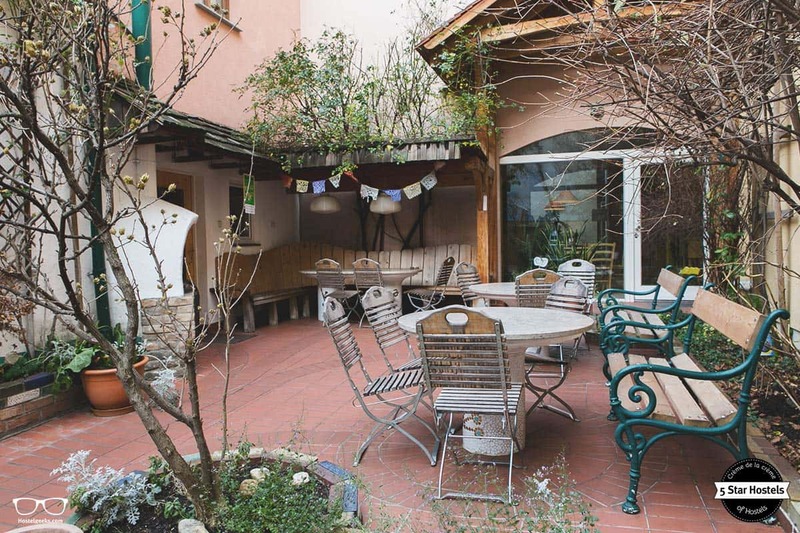 On the map it might not look like it – but Hostel Ruthensteiner is in a quiet, peaceful side street, close to the west train station and only a 5 minute walk away from Vienna's main pedestrian street called „Mariahilferstrasse“. The best part is, that along the way you will find some of the best street food vendors. Go for it, you will love it! Public transportation like the airport bus stop and two different metro stops are close-by. You can also rent a bike directly with the hostel. Right around the corner of Hostel Ruthensteiner, you will find several supermarkets, and in contrast to otherwise rigid closing times in Austria even 2 of the rare late nite ones. 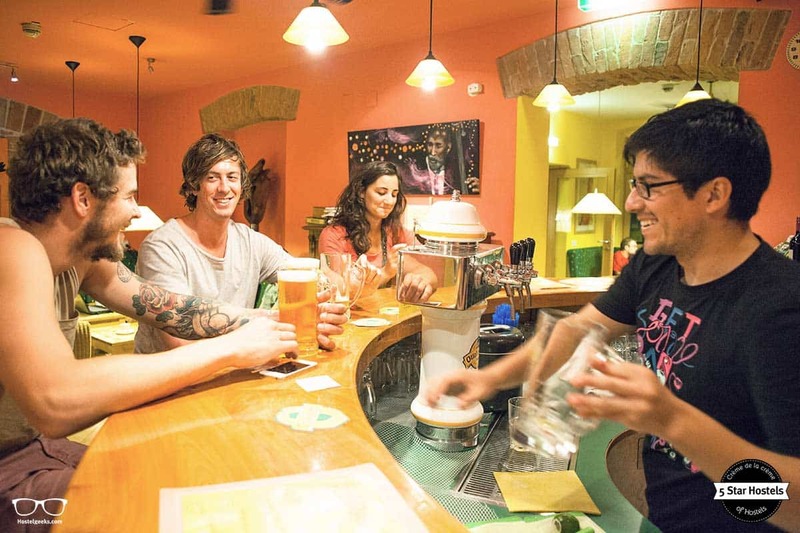 Vienna's famous traveler’s bar is the travel shack and Hostel Ruthensteiner is only 3 blocks away from it. Besides the great street food vendors, you will find Vienna's best night restaurant „the Mozart“ only about 50 meters away. Here you can eat the typical Schnitzel, and even organic burgers for a good price. The Hostel is just too cozy to leave? Rumor has it, that you might be able to order some of the food from Mozart to the Hostel very soon, as they are in the process of setting up that service exclusively for the Hostel. Shared Room Types available: Standard 6 Bed Dorm, Basic 10 Bed Dorm. Mixed, female only, and male only available. 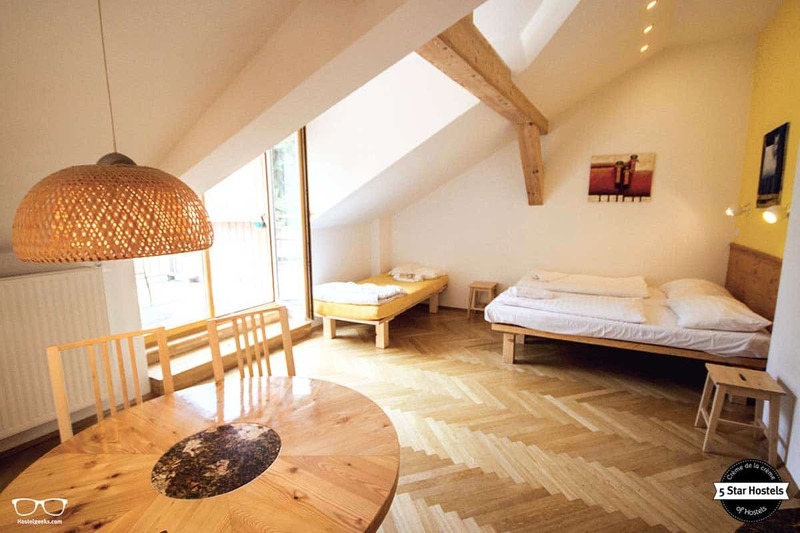 If you are looking for a fabulous hostel in Vienna, you have just found the right place to be. The 5 Star Hostels, including Hostel Ruthensteiner Vienna, are awarded by Hostelgeeks, an independent platform designed to bring you the world‘s greatest hostels. 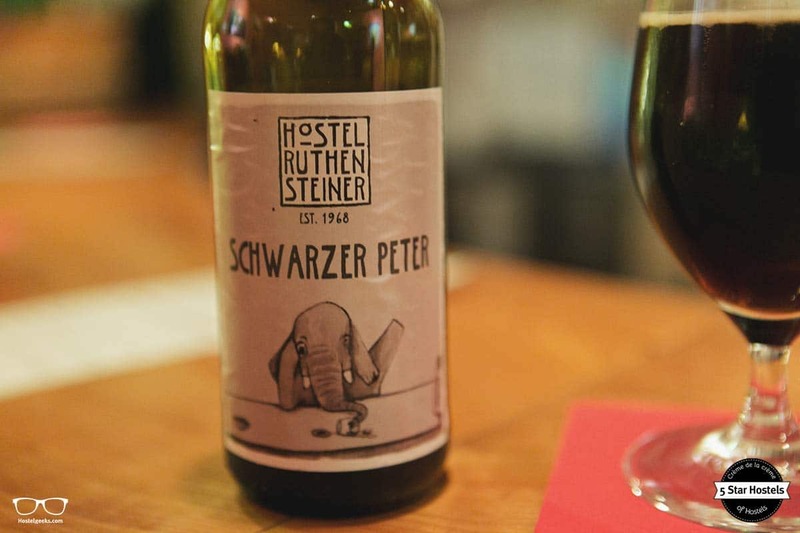 We would a big guide on the coolest hostels in Vienna – and Ruthensteiner is leading that list! 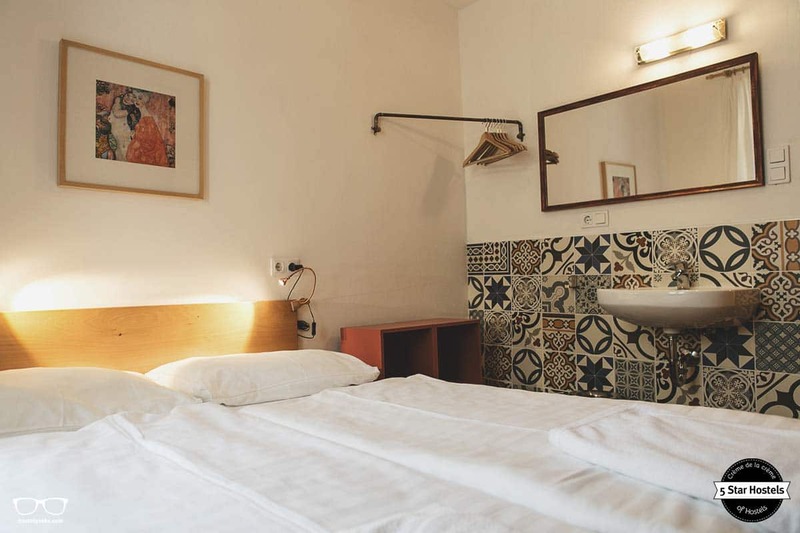 Based on transparent criteria, the 5 Star Hostels are budget accommodations with character and personality. And Hostel Ruthensteiner has plenty. Find all 5 Star Hostels in the world with us. The Hostel Ruthensteiner Vienna is a remarkable accommodation with all the usual little bits and big bit of extra! Two green backyards with handmade furniture and a gigantic, oversized chess board game invite you to a tranquil, social time. And if you fancy a drink while hanging out in the garden, just get one at the well-stocked in-house bar. The Ruthensteiner bars offers cocktails, local beer, soft drinks and one special secret. We at Hostelgeeks cannot talk about it right now… but let us just mention: keep an eye on the bar offers! Here is the video, showing you some insights as well as the location. Find +23 hostel videos of the 5 Star Hostels here. But no secrets from now on, we promise. 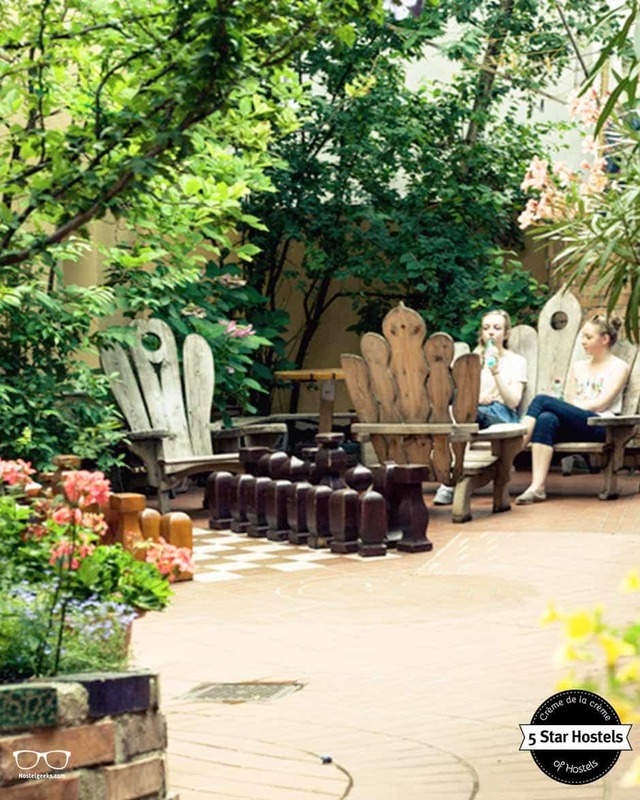 We are excited to introduce you to Hostel Ruthensteiner, the oldest of all 5 Star Hostels in the world. The history takes us from the early 1800’s to WW2 – leaving scarves on the hostel facade – to the opening in 1968 and intellectuals fleeing from a political change. A colorful history. 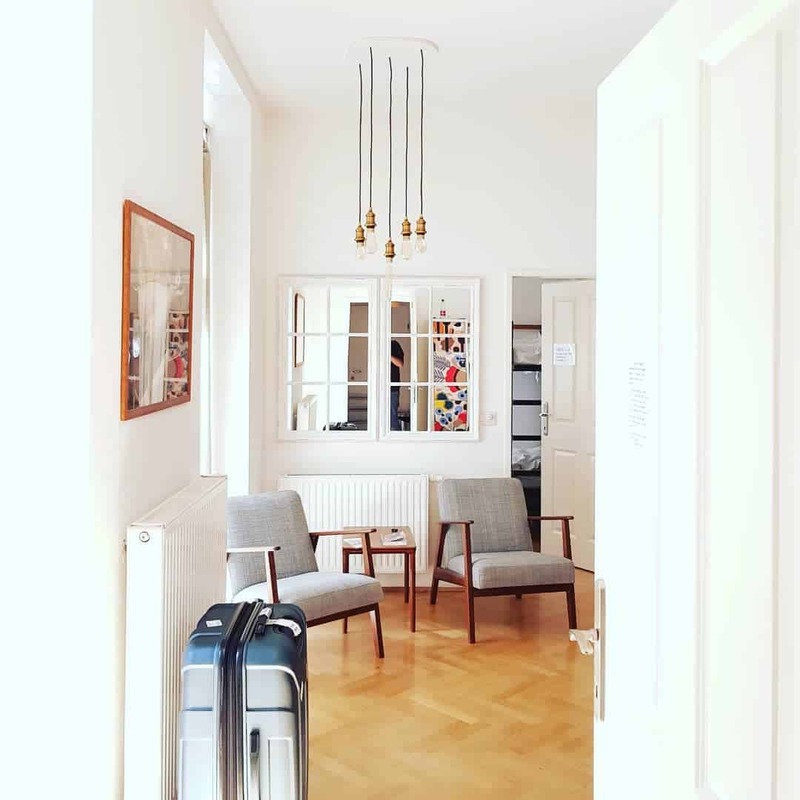 We also wrote up a big guide to the best hostels in Vienna. 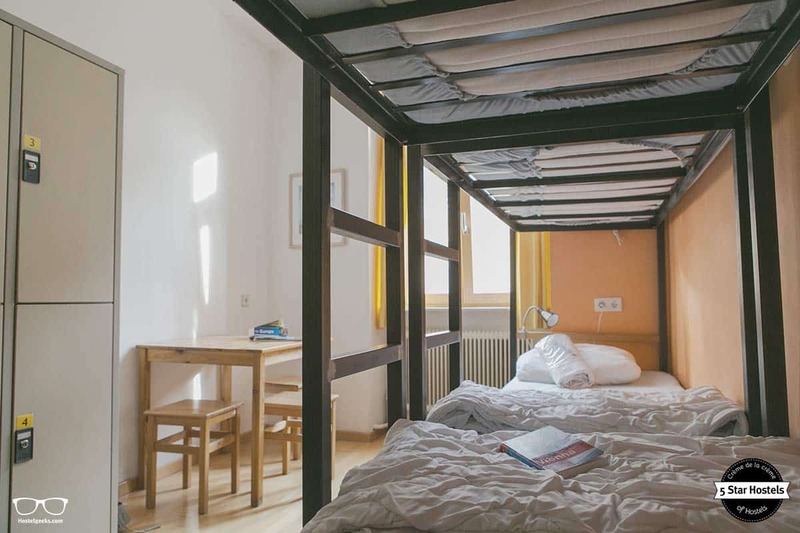 Let us have a close look together why this top-rated hostel in Vienna is on top of the game. 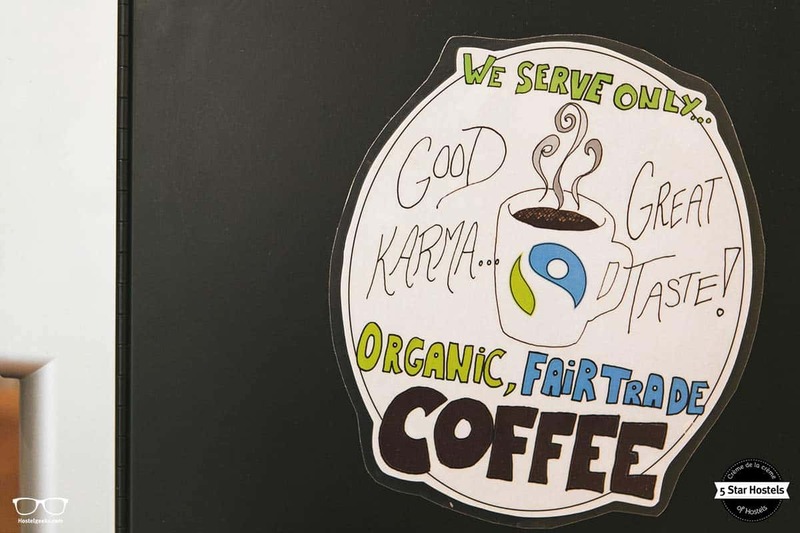 The first criteria for being an awarded 5 Star Hostel is their sustainable and eco-friendly efforts. Hostel Ruthensteiner has plenty of stories to tell here. The solar panels on the roof make sure you have a nice, hot shower. As Vienna is not sunny all year round, the hostel was looking for alternatives to power their hostel green annually. Nowadays the best hostels in Vienna purchases their power supply from the Vienna start up Awattar, a 100% green power supplier. The garden also comes with a small herb and spice garden. Having a Mojito at the Ruthensteiner Bar? The mint used for your cocktail comes right from their own garden! At the bar we recommend to have a look for the local red wine „Scheiblhofer DAC Zweigelt“ or „Rögner Rivaner“ in white. These are wines produced in lower Austria which are delivered directly from the winemaker straight to the hostel every week. In season he also brings bottles of the thickest and tastiest apricot juice there is to drink pure or mix with vodka. Read: +28 handpicked Boutique Hostels to admire. We at Hostelgeeks love to discover a city by bike. Vienna is a very bike-friendly city and easy to get around. Therefore the in-house bike rental at Hostel Ruthensteiner is pretty handy, and highly recommended. 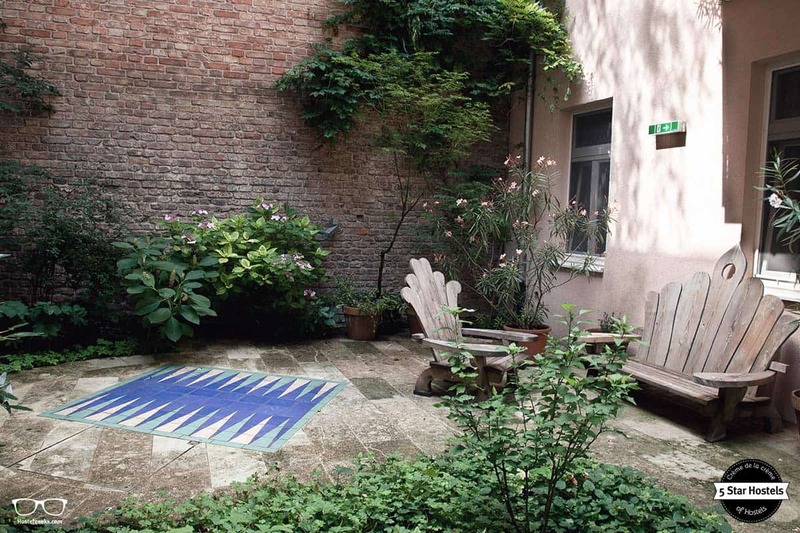 Back in 1968, the family Ruthensteiner opened the building as a student residence which turned out to become the first independent backpackers hostel in Vienna. 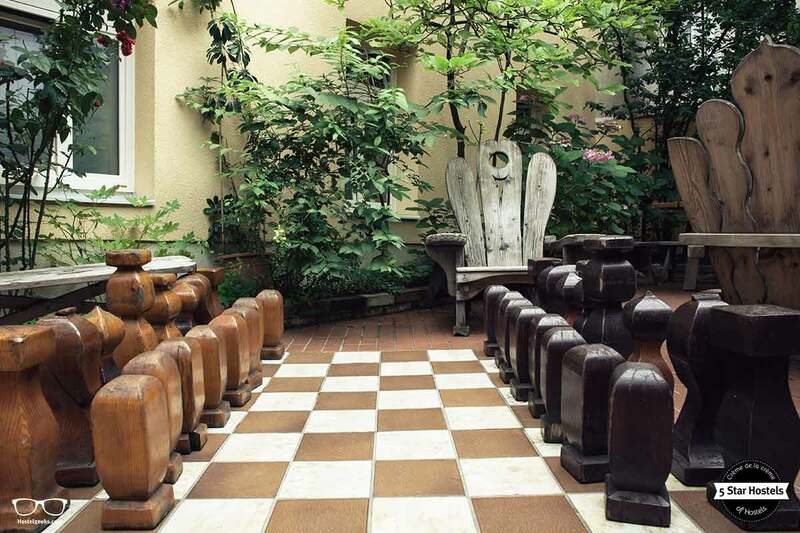 The eye-catching, handmade furniture in the garden was crafted by Mr Ruthensteiner. The oversized chess figures as well as the backgammon and the solid-cherrywood bar were crafted in their own workshop. 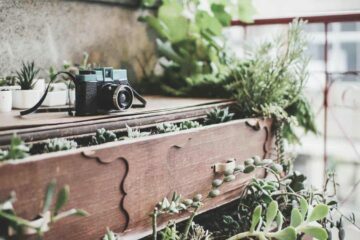 The accommodation communicates this frequently, and we get the feeling the guests highly appreciate this little bit of handmade extra effort in the garden. And it’s not just the garden‘s furniture which is unique. In fact, the whole hostel is handmade by local artists, and creative staff members. 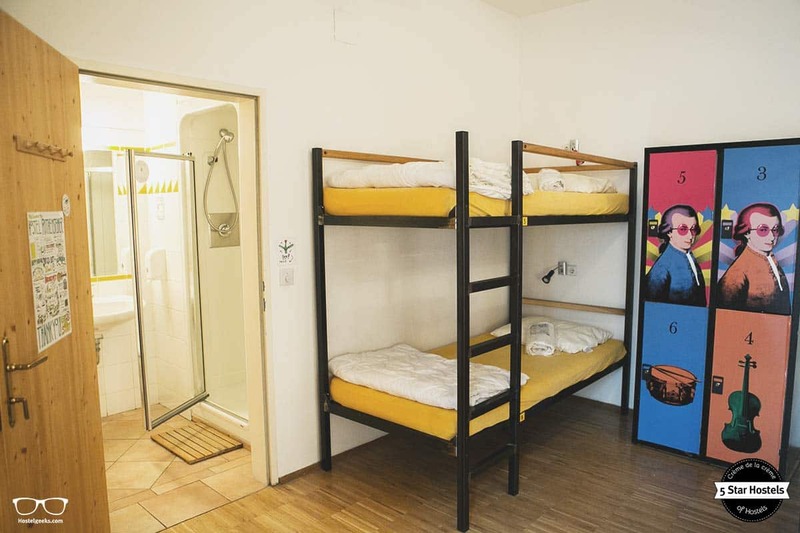 Different sleeping areas have been redesigned in 2016: 4 dorms got a new look and feel, now featuring four different Austrian themes. 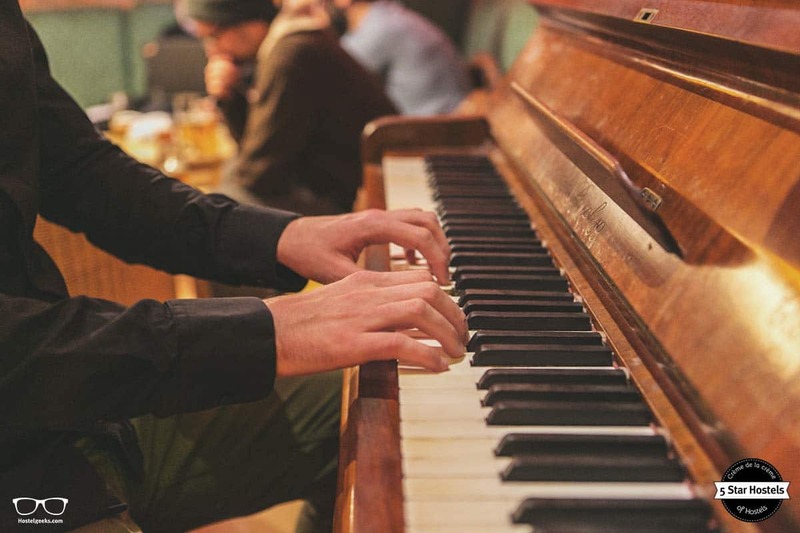 The themes are based on famous personalities from Austria such as Sigmund Freud, Hundertwasser, and world famous composer Wolfgang Amadeus Mozart. The Mozart room is a creative interpretation by a digital artist, associating Mozart with synthesizer and pop-art “à la Andy Warhol”. The renovated female-only dorm is based on Egon Schiele, a major figurative painter of the early 20th century, provoking the society with raw sexuality, and naked self-portraits; a big no-go in his times. 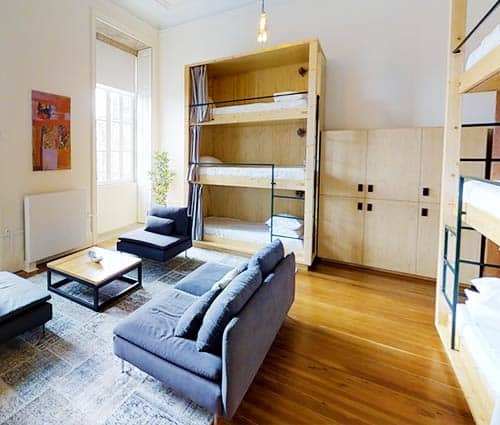 Doubts about only female dorms? We collected the pros and cons of a female-only dorm to help you decide. The 5 Star Hostel in Vienna is all about being a friendly, laid-back place, giving travelers the possibility to explore Vienna whilst staying in a unique hostel – on a budget! All rooms and common areas come with free WiFi, and a fully equipped kitchen. 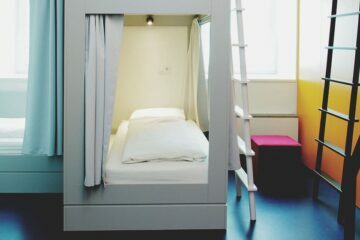 They also offer free iPad rentals at the reception, and the bunk beds come with a power socket and a locker big enough for a Backpack – and one more power sockets inside to safely charge electronics. No WiFi when traveling in Europe? Have a look at the Hippocket WiFi. It is a small travel device connecting you and up to 10 devices to the internet. It is a must-have for the hostel packing list. Hostel Ruthensteiner Vienna is the oldest of all 5 Star Hostels. And we think, the heritage is the most unique part of the hostel. The original building of Hostel Ruthensteiner was constructed in the 1840s. After WW2 the building was a sad witness of the bomb attacks of Vienna, covering the facade in scars. In 1960 the Family Ruthensteiner purchased the building and land, renovated if from scratch, and opened the house as a student residence. Back in the times of cold war and Prague spring, Vienna and Austria were in between the eastern and western world. In 1968, right after the Prague Spring and occupation of the Czechoslovakia by the Soviet Union, many intellectuals like poets, artists and politicians were fleeing to the West, arriving in Austria and Vienna. Hostel Ruthensteiner gave shelter to the refugees, whilst they were applying for visas to USA and other countries, further away from the Iron curtain. Years later, many of the intellectual refugees from the Czech Republic and former soviet union came back with their families to the hostel to show them were it all began. Back in 2014, Family Ruthensteiner gave the management to a team of their own staff. Having been part of the „Ruthi tribe“, as they call it for years, the new owners are leading their project in the spirit of taking great care for their visitors. It is still a home to many people from different nations, a place to make music, mingle, and to feel free in every sense. 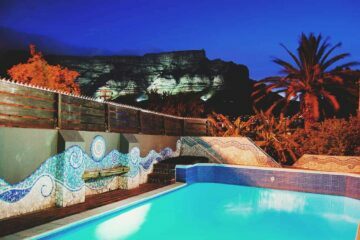 Since the beginning, this great accommodation is a lifestyle, feel-good hostel. It is an every day goal to let all guests feel at home. It may sounds like a cliche with hostels, but the accommodation is certainly one where it fits 100%. Once you enter the hostel, you feel safe, welcomed. We think there are several reasons for this cosy vibe, many hostels around the world are aiming for. One is that the hostel crowd is a mix of every type of traveler and age. Young families, the typical backpackers, small groups, couples and solo-travelers; it’s a place where all ages and nationalities come together. 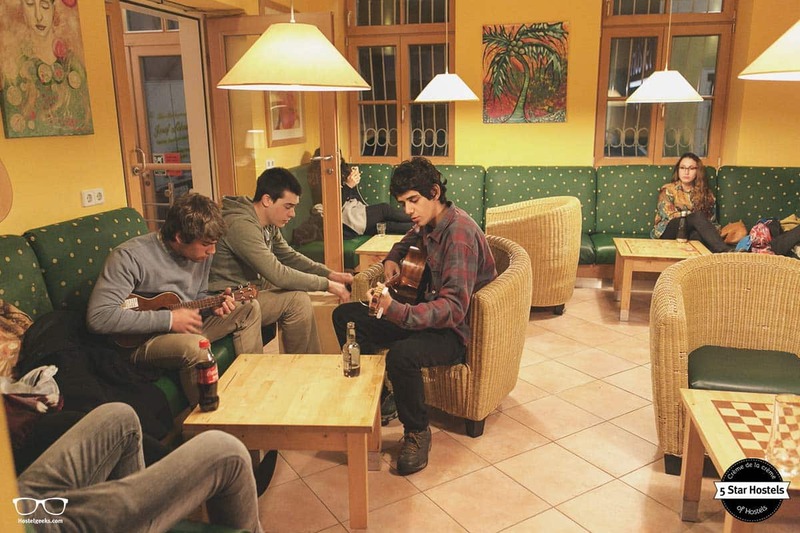 The hostel invites musicians and bands to play at Hostel Ruthensteiner, and also for the guests to come up with casual, spontaneous jam sessions. The shared lounge comes with different instruments for the guests to use. 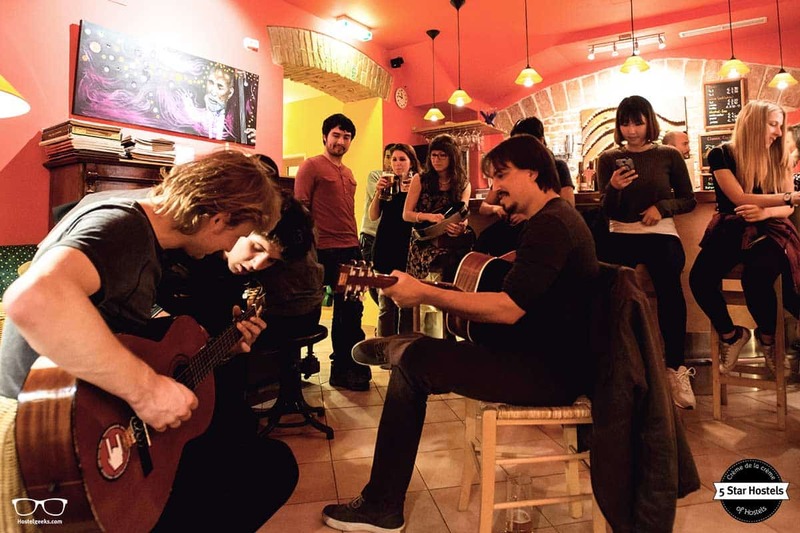 A piano, guitars, ukulele, djembé and more… they are always ready for a good jam session. Lorenzo is one of the best percussionists in Vienna, Juan plays the drums in a latin funk band and Stefan is a producer of mostly electronic music. Music is the universal language, and it always brings people closer! Once a week the team invites you to a family dinner. The staff cooks for and also with the guests. Tables are put together to create one, long community table, and the hostel vibes become ever more easy-going and laid-back. Hostel Ruthensteiner was opened by people with a deep passion for traveling, and since the first day this hasn‘t changed. Today the staff welcomes you in several languages, but not just in a few words. Surely, you won’t have any problem communicating with the Ruthensteiner Team. Additionally, every single one in the team knows Vienna like the back of their hands. So ask them as many questions as possible for Vienna and surroundings. They are your walking, multilingual guide books. The most impressive part for us is a different one, though. 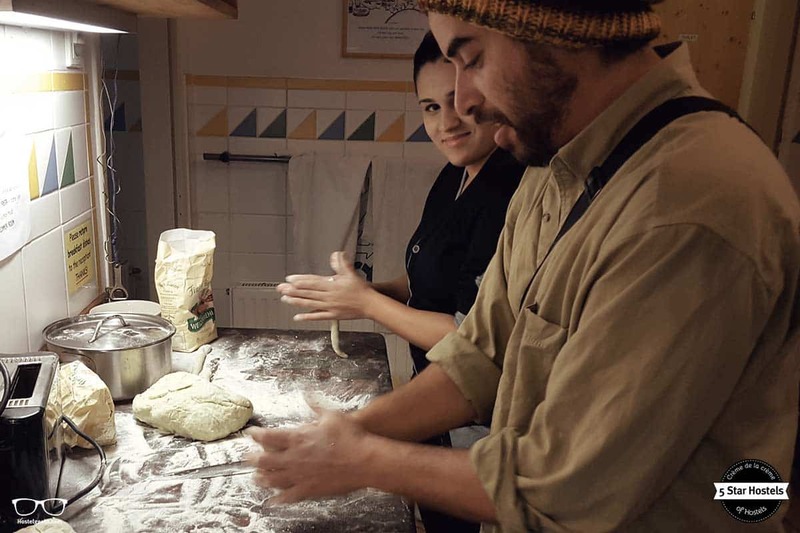 At a lot of hostels it is very common to have a high staff turnover. However, not so here. The longest working employee at Hostel Ruthensteiner is for: 22 years! Stefan, the manager, has also worked at the 5 Star Hostel since 2006. Since 2015, the accommodation has hired volunteers for helping with the breakfast, organizing events, and social media. Some of the new volunteers also bring special skills to the table such as photography and videography skills. The ratings on several booking platforms confirm our experience, and it’s inspiring to see how the team is always on top of the game. So many ideas to improve the full hostel experience, numerous interesting upcoming projects – opened in 1968, the journey of Hostel Ruthensteiner continues – with art and passion. 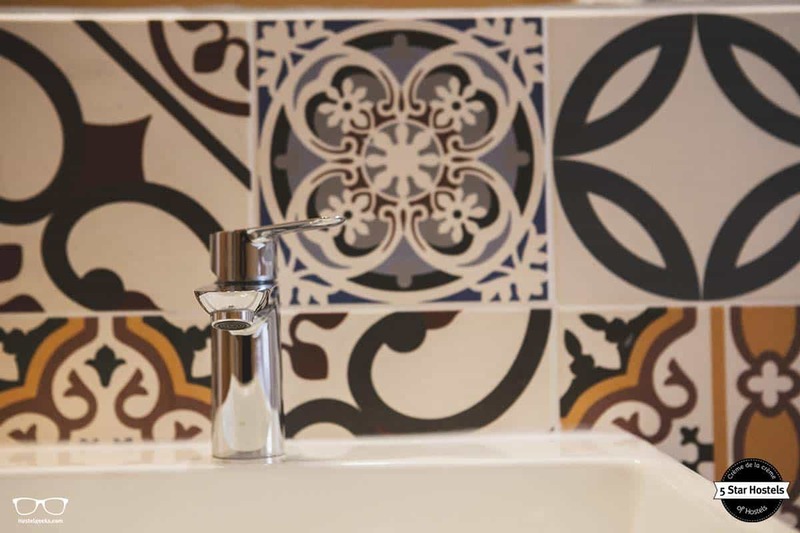 Fancy a promo code for Hostel Ruthensteiner? Who doesn't?! Now, there is no easy way to say this: Currently we do not have a valid discount for Hostel Ruthensteiner. 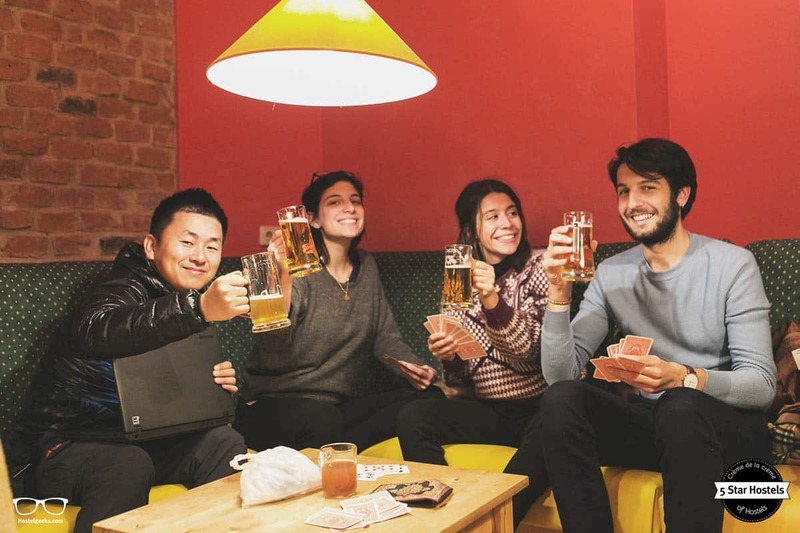 We are working on getting more promotional codes for Hostel Ruthensteiner in Vienna, Austria and all the other top hostels we reviewed for you. Check out the official website of Hostel Ruthensteiner. 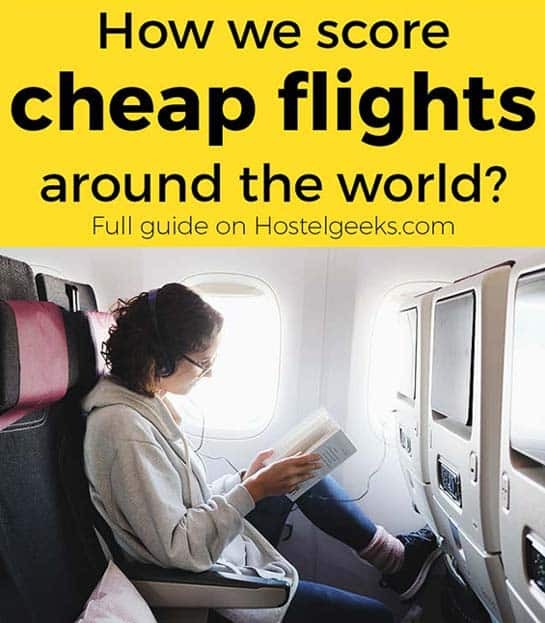 Update April, 2019: How to find flight deals to Vienna, Austria? Still looking for cheap flights to Vienna, Austria? We LOVE Kiwi.com. You can search here with a so-called "radius search". It is incredible easy to find sweet flight deals to Vienna, Austria and area.